For many years, football has been considered the most popular sport in England, ahead of rugby, so it is no wonder it is perceived by many as the country’s national sport. With the beautiful game being so popular to watch and play in the UK, it is no surprise that the country is home to some of the very best football stadiums in Europe – but, where are they? Anfield stadium, home to Liverpool Football Club, have recently undergone so recent improvements and renovations, taking the maximum capacity past the 54,000 mark. Despite not being the largest stadium in the UK, on big occasions Anfield’s atmosphere is something to rival most football stadiums in the UK and Europe. 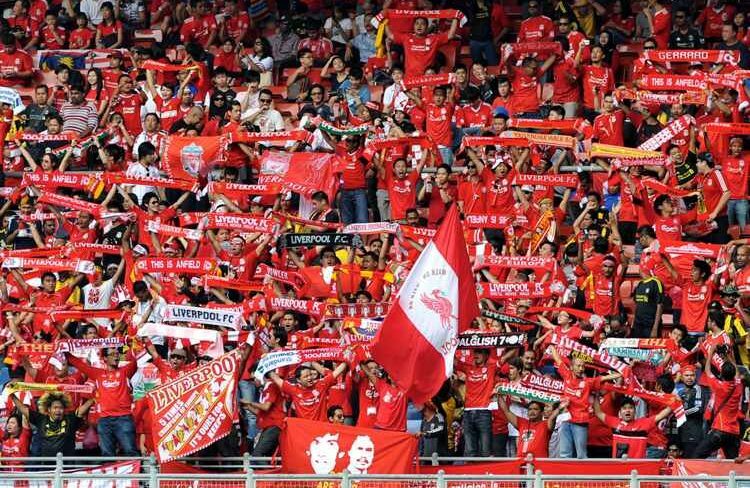 Liverpool FC boast an atmosphere like no other, with a strong sense of community spirit and togetherness. At the beginning of every match, spectators can expect to witness echoes of “You’ll never walk alone” sending a chilling tingle down their spine – it’s a scene no one will forget in a hurry and making it one of the best football stadiums in the UK to watch the beautiful game. Old Trafford is one of the most widely recognised football stadiums in UK football, and home to one of the world’s most popular football teams: Manchester United. With a seating capacity of almost 75,000, it is one of the biggest football stadiums in the UK and is regarded as one of the best Premier League stadiums. The stadium has developed slowly over the years, with a plan to create the best football atmosphere in the UK. While most English football grounds were built with four different, unrelated plans on each side of the pitch, by the early 1990s Old Trafford was completed as an all-enclosed stadium with an all-seater capacity of 44,000. The aim, according to Sir Bobby Charlton, was to create ‘The Theatre of Dreams’ – and today, as a spectator, it doesn’t disappoint. It is one of the best football stadiums in the UK, and Europe too. Not to mention it is the only stadium in England, and one of four UK-based arenas to have been awarded the prestigious UEFA five-star ranking, for its world class renovations and expansions over the years to create one of the most modern stadiums in the world. Therefore, it is unsurprising that Manchester United has been labelled as the world’s most valuable football team by Forbes. Read more about where the best seats at a football stadium are. Rangers FC’s Ibrox Stadium, situated in Glasgow, Scotland, was originally a concrete bowl and once held over 118,000 fans – a real spectacle in the football world. However, it was redeveloped in the late 1970s after a disaster within the stadium resulted in 66 fans losing their lives. After this, most of the stadium was knocked down and redesigned. After its modernisation, only the famous Archibald Leitch main stand remained, which was modernised with a new roof and an extra tier. 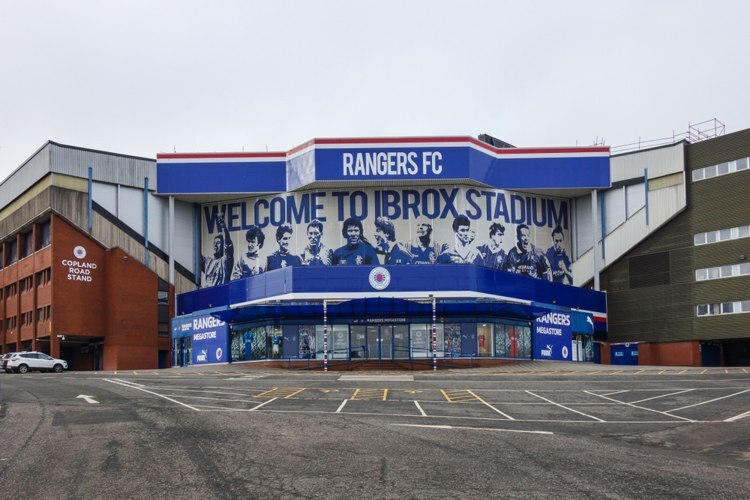 Despite the fact the old façade of the main stand may suggest an outdated stadium, the Ibrox can still be considered a new stadium that combines modernity with tradition and atmosphere. Raving about the stadium’s atmosphere, the famous Manchester United full-back Gary Neville claims that the Ibrox Stadium is one of the two loudest grounds he has ever experienced, and highlighting why it is one of the best football stadiums in the UK. Not forgetting, the Ibrox Stadium, alongside Old Trafford, is among the four UK-based arenas worldwide to have also been awarded the prestigious UEFA five-star ranking. Whilst some football fans may disagree, Goodison Park is one of the most outdated football grounds, but that’s what makes it one of the best football stadiums around. Fans may expect luxurious seating when watching a football match, but Goodison Park – home to Everton FC – is very much the opposite. The grounds definitely don’t lack character, as it sits in between streets of terraced houses and with a church between the corner of the main stand and Gwladys Street end. Everton are keen to move with the times and modernise their home ground, but for many fans, the prospect of moving to a brand-new stadium fills them with dread, as nothing beats the atmosphere in this stadium. Since its re-build in 2007, Wembley Stadium may not boast the same memorable footballing moments as the old Wembley, it is still very much seen as the most iconic stadium in the world. There isn’t a bad seat in the impressive 90,000 seat arena, and the unique arch can be seen from miles around London, so no wonder it is considered one of the most famous football stadiums standing. The stadium, home to the England football team, is most well-known for hosting football matches, such as the FA Cup final or the UEFA Champions League final, to name a few. However, football aside, it often also hosts a number of NFL football games, as well as concerts too. We spoke to 2,481 football fans from across the UK to find out exactly what makes a football stadium the best. Surprisingly, it’s got nothing to do with a stadium’s large infrastructure or over-the-top exteriors that make people consider a ground to be the best football stadium, despite the appeal of Wembley’s infamous arch. 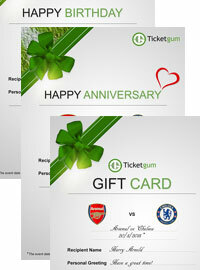 Instead, it is all about the club memories and character, which adds to the all-important stadium atmosphere. Take Tottenham Hotspur, for example, who made sure to incorporate a touch of history and character into their new stadium by positioning the infamous golden cockerel, from the legendary White Hart Lane, on top of their world-class arena. In addition, where the stadium sits in the city can make or break a football ground, as the best football stadiums resonate with the local community. Even if a stadium is newly refurbished, grounds can grow and transform to connect with the wider community of an area, to heighten the atmosphere felt during the standard 90 minutes of the beautiful game. Liverpool Football Club are a great example of this, as they are situated in the heart of the bustling city, creating a very strong identity in the community. According to the Price of Football report, the team give 500 £9 tickets to people living in the L postcode to bring the community spirit to the stadium. What makes a ground one of the best football stadiums to you?